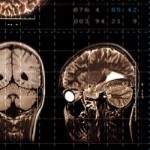 « Schizophrenia and Autism – Opposite Ends of the Same Spectrum? Duke University’s Rajendra Morey was in the news this week following a presentation at the World Psychiatric Association Congress in Italy. Dr Morey’s group recently published a paper equating symptoms of post posttraumatic stress disorder (PTSD) with “markedly different neural activity”. Dr. Morey raised the possibility of using brain scans to diagnose PTSD, thereby catapulting herself into the science pages of Forbes, Reuters et al. She joins a lengthy list of researchers that have whetted our appetite with tantalizing suggestions about the predictive power of neuroimaging. Sadly, the list of those who have followed through on this promise is not quite so long. What are PTSD and fMRI? PTSD is an anxiety disorder commonly seen in individuals who have survived extremely stressful situations such as war, assault, or other events that lead to severe psychological trauma. There is some evidence of a genetic association – an intriguing paper by Binder et al. (2008) links PTSD with genetic polymorphisms at the stress-related gene FKBP5. A number of recent studies (e.g. Bryant et al., 2005) have used functional magnetic resonance imaging (fMRI) to link PTSD with specific brain networks including the anterior cingulate and amygdala. Dr. Morey’s group essentially replicates these findings, with PTSD patients showing greater activity in emotion-processing areas (the cingulate and amygdala are often associated with fear-processing) and reduced activity in the prefrontal cortex (often associated with vigilance and monitoring). FMRI, the neuroimaging technique used by Morey’s group, uses a large magnet to monitor blood flow, which is very precisely related to activity in the brain. When a region becomes active, there is an increase in blood flow to neurons, which leads to a very slight change in the magnetic signal. Although very slight, this change can be detected by extremely powerful magnets. By tracking magnetic changes in the brain, researchers can infer increased or reduced neural activity. Every week, at least 3 or 4 neuroimaging papers report a neurological correlate to a particular emotion, behavior, or even voting preference. I recently interviewed Thomas Insel, Director of the National Institute of Mental Health (NIMH) and he made the point that despite over 19,000 neuroimaging publications in the last two decades, he could not point to a single neuroimaging study that affected practice, that changed the way we diagnose or treat any cognitive disorder. This, I think, is a very important point. There is no doubt that neuroimaging has potential, but, to date, its promise remains unfulfilled. There is no grounds, therefore, for claiming that fMRI or any other neuroimaging technique can be used to diagnose PTSD. Accepted, the groups’ claims relate to future uses of fMRI, presumably an off-hand to an ill-informed news source. Nevertheless, this is an irresponsible comment given that there is currently no consensus among researchers about what the neural correlates of PTSD actually are. Sure, your study may have pointed to differences in prefrontal cortex and amygdala, but these areas are 1) associated with a host of executive and emotional processes, and 2) in the case of the prefronal cortex (or even the dorsolateral prefrontal cortex), extremely large and therefore unspecific. Alzheimer’s disease is realistically the only cognitive disorder, where researchers have come close to developing a neuroimaging diagnosis. This is because Alzheimer’s has a very specific neuropathology that is clearly visible with autopsy. PTSD is absolutely different, any speculation linking PTSD to a neuroimaging diagnosis is distracting and misleading. When there are so many interesting science studies published each week, it is extremely disappointing to see stories such as this grab the limelight. The short answer to my title question is a firm no. Maybe in the future it will be possible to make diagnoses of this kind, but we are currently not even close to this scenario. Any comments to the contrary are misguided, sensationalist, or downright untrue. Print article This entry was posted by connolly on April 18, 2009 at 8:51 pm, and is filed under G2C Online. Follow any responses to this post through RSS 2.0. You can skip to the end and leave a response. Pinging is currently not allowed.